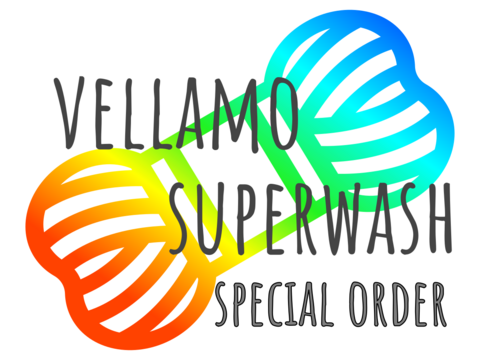 All of the color chart colors are available in Vellamo Superwash yarn. Click here to find all Vellamo yarns in stock. 100 g = approx. 715 m or 3 ½ oz = approx. 794 yds. Recommended stitch gauge in stockinette stitch: 20-36 sts /10 cm (5 to 9 stitches per inch).